The day after: Music gone, people gone, security gone— art remains. North Beach. Big stage in the background needs to be dismantled. A. Park. 10:30 am, Monday October 1, 2018. Paul Goldfinger photo © Organizers emphasized art everywhere. Click images to enlarge. North Beach. Monday morning Oct 1, 2018. Cleanup underway. 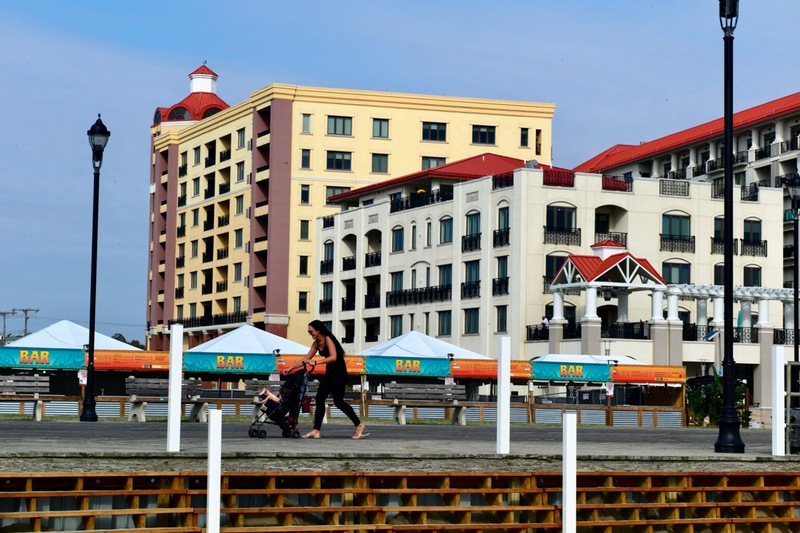 Boardwalk, beach, roads, sidewalks all open again. Paul Goldfinger photo©. Oct 1. A. Park boards. Anyone know the artists’ names? The Asbury Park Press got a bit worked up today when they said, “Asbury Park is the heart of New Jersey’s music and art community.” Are they serious? There is more music to be had besides the narrow range exhibited at the Sea.Hear.Now Festival. Where do we see jazz in A. Park or classical? Ocean Grove has more fine classical music in two summer months than A.. Park has all year. And art? This “city” doesn’t even have an art museum. And the gallery scene is limited. They also reported that the Festival was a success because it is the only one to be held on a beach in the northeast. We attended the festival and there were so many positive aspects of this event. First, the organization of the space and the safety of the guests was excellent. Second, there was an incentive for festival-goers to clean up – fill a bag with recyclable cans and there was a free tshirt. A mountain of bags was filled during the event resulting in NO trash on the ground, lots of recycling in the right place, and festival goers with freebies. Excellent idea. Another cool aspect was that all the AP murals were finally labeled with their artists’ names and date of the piece. The Carousel House held a beautiful exhibit of pieces made for the event and the ones on the beach were wonderful as well and all labeled. Finally, the music. Excellent variety, excellent artists, a great weekend of fun. Ruthie and Andre, mermaid and seal, is by AP artist Porkchop. Most of the art work is signed by the artists. It is unfortunate that you weren’t allowed in to the festival to get photos. I thought your Blogfinger was very interesting and raised some important questions. A couple of my kids went to that concert over the weekend that they enjoyed it. We attended the music festival in asbury and had a great time. Well organized and well run. The art piece you show above with the bright sun, is by local artist John Glenn, one of the talented OGCMA staff. And Ocean Grove’s Griffin Lotz was hired as a photographer to showcase the bands. So glad the OG community and several local musicians were asked to participate! All in all, the music festival sounds like it was a great success and a wonderful event for our area. 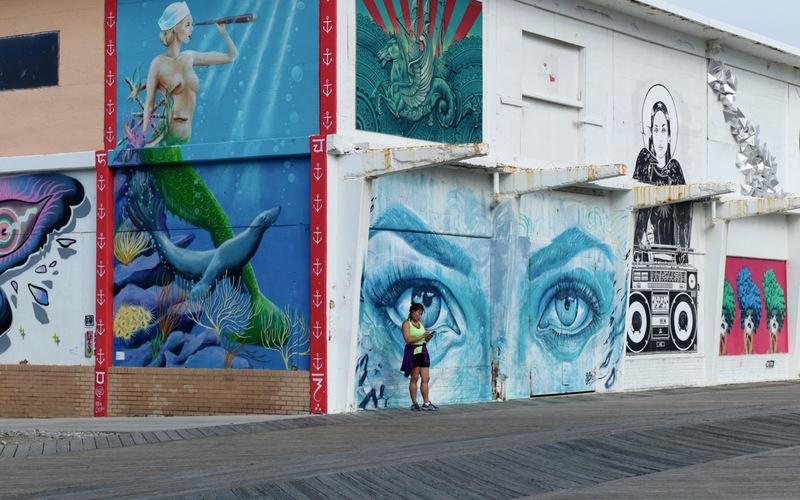 I love the fact that Asbury Park has fully rediscovered its burgeoning cultural scene, understanding it can’t be all things to all people. 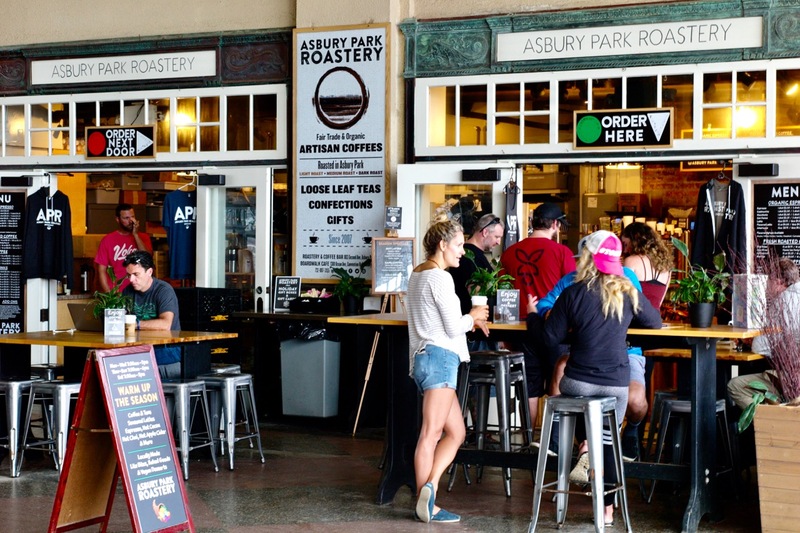 Fact is – Asbury Park is officially cool again…and keeps getting cooler. That is a good thing. We in Ocean Grove should be supportive of that. Outside of the negative parking issues that it might have created, did it have any other negative impact on OG? To me, it looked like a lot of people having a really good time and discovering for themselves all the reasons why we love being here. R.M. Negative impact on OG? In our part of town (North End) we experienced minimal parking issues and no noise problems. On the positive side, although we have no data, I bet that lots of renters (Airbnb and others) in the Grove were able to charge inflated prices. I did hear that some of the celebrity performers were willing to pay high prices to enjoy the quiet safety for themselves and their families. And, of course, for those Grovers who went, they were able to walk over and walk home. That is always a major advantage for Grovers who enjoy what A. Park has to offer on a regular basis. 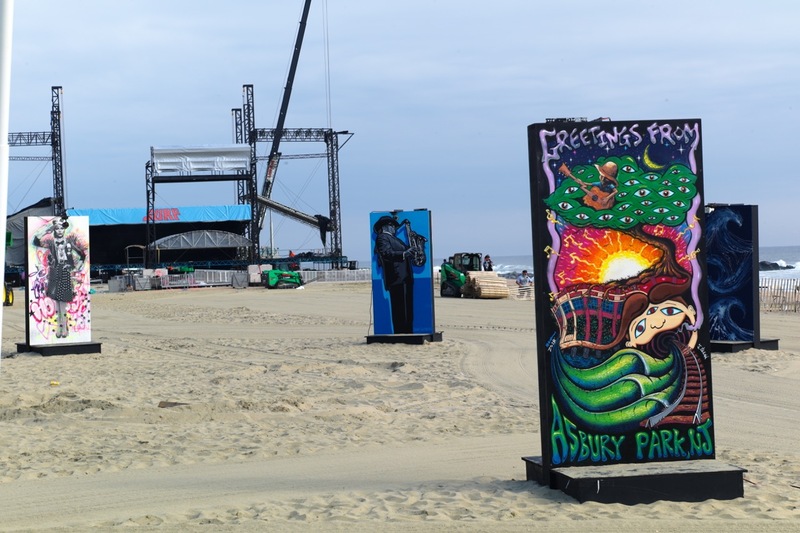 The point of this article was primarily to wonder about how a commercial project like the festival could usurp public spaces such as the AP boardwalk, roads, parks and beaches and to ask how the two day spectacular event might be worthwhile to the people of Asbury Park. It’s an interesting topic, but we have no answers so far. The Mayor indicated that the City got some compensation for police and other services, but it didn’t sound like they received much money for making their town available to this massive commercial project. Maybe the City valued the good will and publicity from it, but will that translate into good reasons to do it again next year? We did not cover the content of the festival because we did not attend. We know that guests came from all over and that many enjoyed the show.